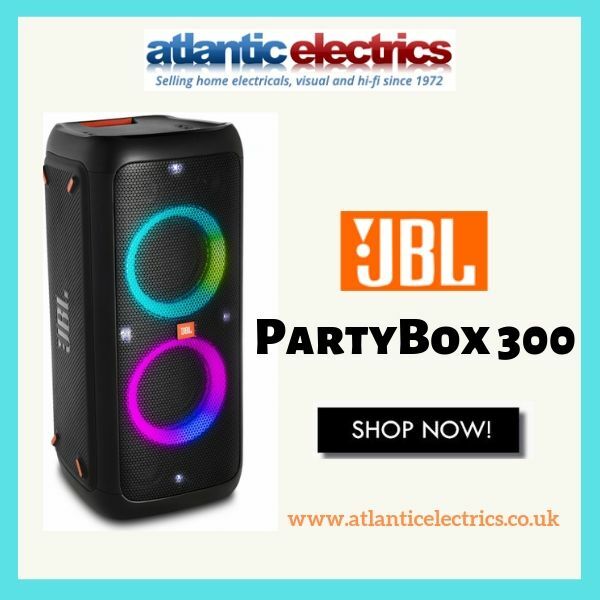 JBL PartyBox 300 Party Speaker with legendary JBL sound and vivid light effects. Thanks to its rechargeable battery, you can take the #PartyBox300 anywhere. Just plug in your mic or guitar and take the stage or stream your playlist via Bluetooth® or from a #USB stick.